Cathedral’s success lies in simple yet profound ideas but none more important than the belief that our students are capable, regardless of race, social or economic background, religion, family circumstances, or cultural bias of achieving academic success, of becoming model citizens who have a moral compass by which they can guide their lives. At Cathedral we provide a sense of family. The young men of Cathedral are proud of the school and protective of its reputation. 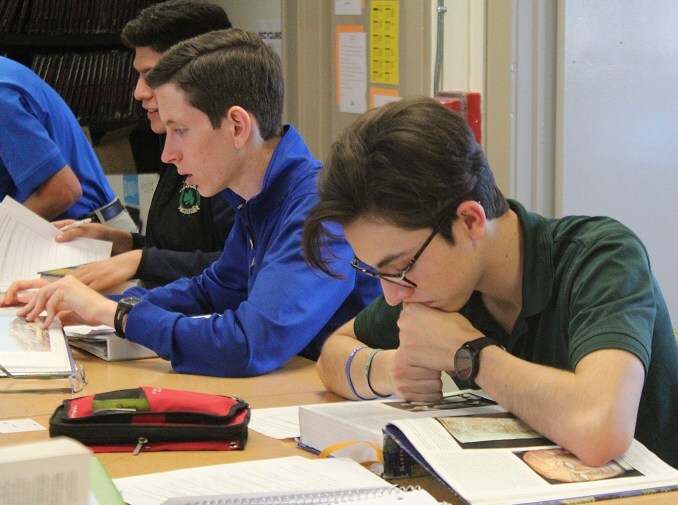 Self-esteem is high as students are aware of their accomplishments academically and athletically; men of Cathedral have high expectations of success, something they all carry with them into college and university. In many ways, Cathedral could be called old-fashioned. It is private, religious, and all-male. School policies demand high standards, much homework, minimal social distractions, and unrelenting self-discipline and respect for others. For instance, the student body is required to stand whenever any adult enters the classroom.